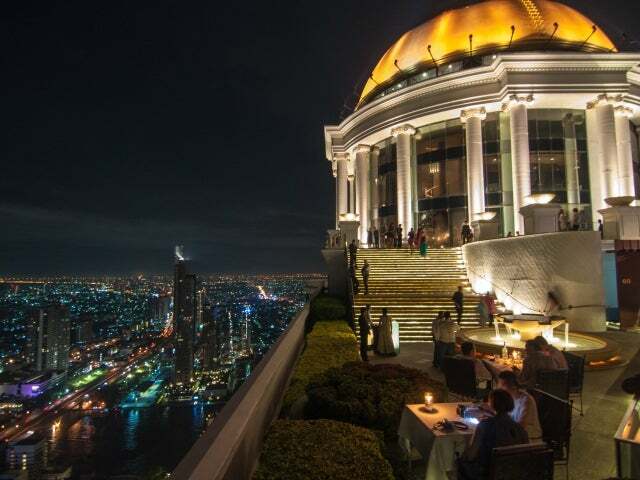 The world's highest al fresco restaurant, Sirocco serves up Mediterranean-style cuisine accompanied by award-winning wines and breathtaking Bangkok views. 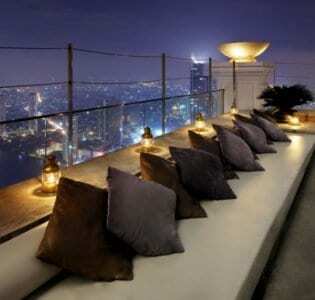 Sitting adjacent to Sky Bar, the rooftop bar made famous by the film The Hangover 2, Sirocco is proud to call itself the world’s highest al fresco restaurant, offering stunning sweeping views over the Chao Praya river and Bangkok city skyline. Split into two sections – a plush interior restaurant based inside a Greco-Roman style building called The Dome and an al fresco dining area out on the rooftop – Sirocco serves up contemporary Mediterranean cuisine in what can only be described as sumptuous surroundings. The Dome features its own glass-fronted wine coolers, filled with a vast array of private label wines available for sipping by the glass or the bottle, along with an impressive selection of champagnes. 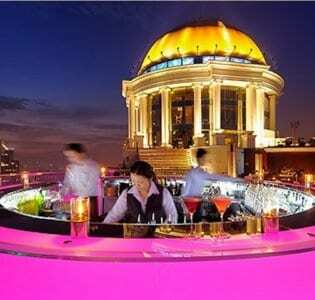 If the dizzying views put you more in the mood for a cocktail, the highly-skilled bartenders from Sky Bar outside can whip you up any number of concoctions, including an aptly named Hangovertini (green tea liqueur, apple juice and rosemary honey). There’s a nightly live jazz band providing a soothing musical accompaniment to proceedings at Sirocco and a strict dress code is always in place to ensure that high standards are maintained. 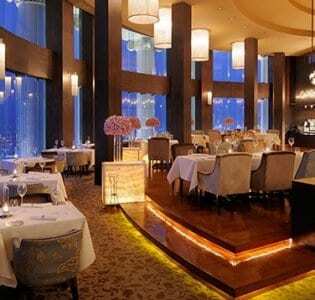 Food and drinks aren’t cheap, but are created with the best of ingredients (foie gras, lobster, pigeon and scallops are regular staples on the dinner menu) and the breathtaking views that you’ll get to enjoy balance out the slightly higher price tags. Reservations are recommended, particularly on the weekends, and if it’s an unobstructed view you’re after, get there earlier in the evening.